【Superior Stereo Sound & Clarity & Great volume】-Jazz up your party with the fantastic signature sound of the NYNE Boost Loud Bluetooth speaker. Boost provides premium, dynamic sound at all volume levels-excellent response and clarity without distortion. 【IP67 waterproof and dust-tight】- NYNE Boost is virtually waterproof (can resist water up to one meter deep for 30 minutes), dustproof, splash proof, shockproof and rainproof making it perfect for taking outdoors. 【Bluetooth 4.2- Easy to pair, Auto reconnect】- Bluetooth Connectivity with 100′ Range. Nyne Surround Sound Speaker Is Easy to connect to all Bluetooth enabled devices, including tablets, smartphones, PCs, and laptops. Boost is a mid-sized speaker with a very large sound. 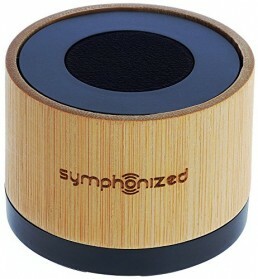 If you’re looking for a portable speaker, then NYNE Boost Bluetooth Speaker is your solution. If you want a speaker that will give you great sound and has a long battery life, then this is the speaker for you. Boost provides premium, dynamic sound at all volume levels. What’s more, the speaker has a very impressive battery life of 20 hours. 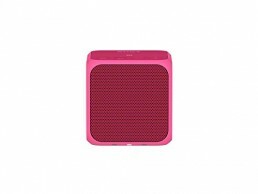 And This speaker can be used as power bank to charge your phone and other portable devices. Are you afraid that your speaker fall into the water? If your Boost speaker falls into the water, do not worry. The NYNE Bluetooth Speaker is IP67 waterproof rated, which means that it can resist water up to one meter deep for 30 minutes. Boost is also dust resistant, making it perfect for Camping, Hiking, Biking and other outdoor activities. We take pride in the quality of our NYNE Bluetooth Speaker and we back it up by offering a one-year warranty both for parts and labor. 【Superior Stereo Sound & Clarity & Great volume】-Jazz up your party with the fantastic signature sound of the NYNE Boost Loud Bluetooth speaker. 【Ultra-long battery life】- Rechargeable battery with an impressive 20 hours of play-time, which can keep you entertained for nearly 400 songs or 10 movies!